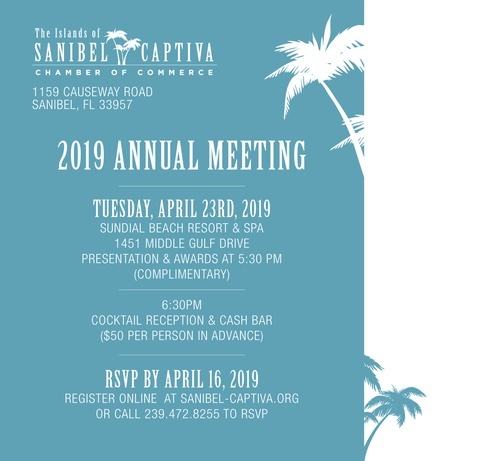 The Sanibel-Captiva Chamber's 2019 Annual Meeting at the Sundial Beach Resort and Spa is a great opportunity to get all our members together and share our 2018 accomplishments. You will hear what exciting plans we have in store for 2019! Join us at 5:30pm for a complimentary presentation and awards ceremony.